PRIVATE classes at your home or our Event Room with your group of friends are available for groups of 6+. Choose from any of our currently available workshops or discuss any new ideas you have for a class. Contact us to schedule a private workshop. Create a stunning fresh flower centerpiece with white blooms! Snacks and wine, coffee or soft drinks served. 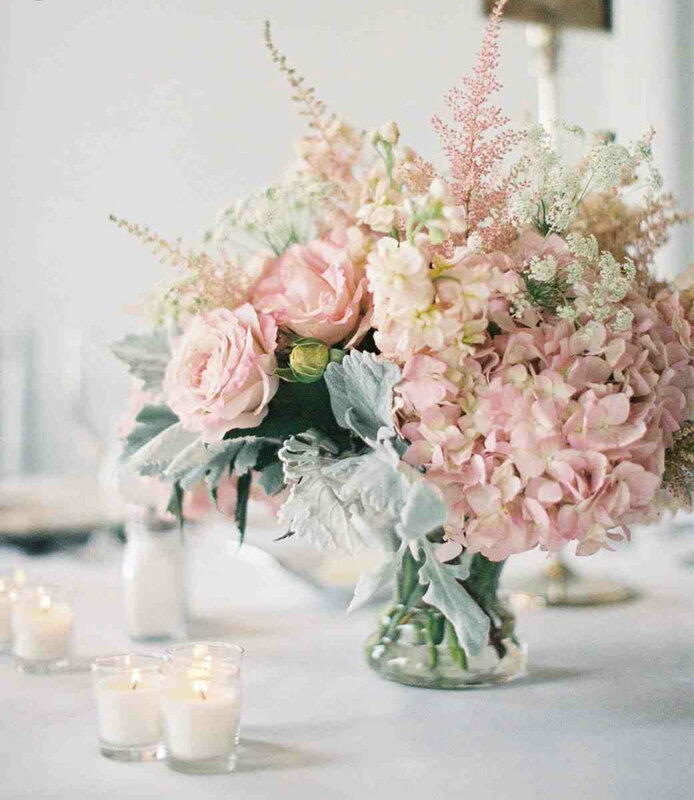 Create a gorgeous centerpiece done in creamy pastels! Just in time for Valentine’s Day, create your own stunning Valentine’s Day centerpiece as a loving gift for yourself or your favorite valentine. Just in time for Spring, create your own gorgeous Silk Flower forsythia wreath in this 2 hour workshop. Plant your own pretty tin of fresh potted herbs for your kitchen! 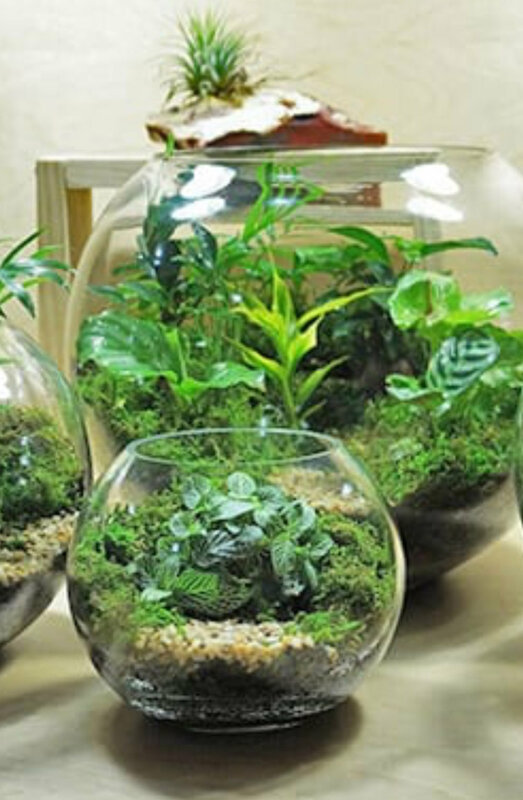 Create your own garden of hardy succulents that can last for years! 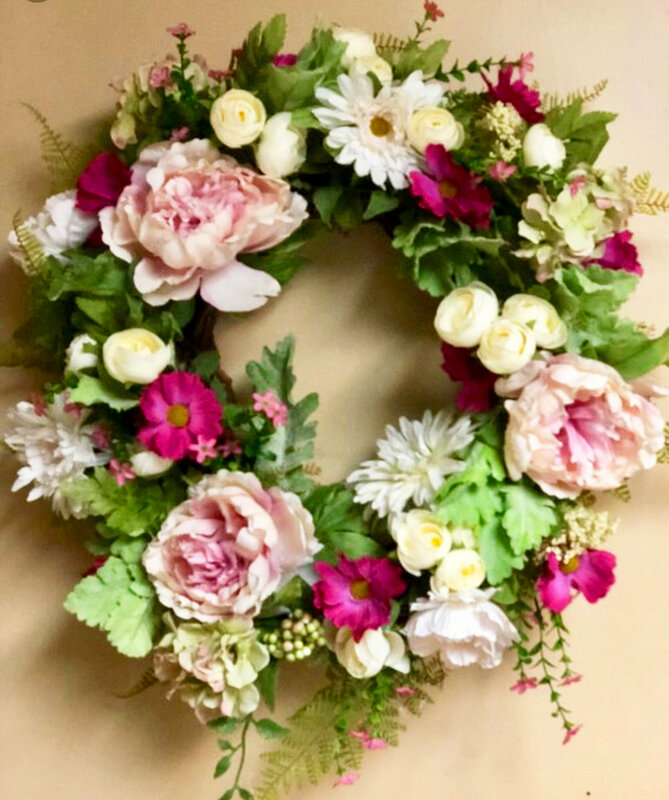 Welcome spring with a lovely wreath of spring flowers for your door! Plant a beautiful container of flowering plants and foliage, perfect for your dining table, coffee table or anywhere that needs a pop of color! Class sizes are limited to 10-12 people/workshop. Many of our workshops sell out quickly! Please register early to insure participation in the classes you are interested in. In the event classes sell out, we always keep a Waiting List and will contact you ASAP if a slot becomes available. We require advance reservations and advance payment for all workshops since we are reserving limited space and purchasing perishable plant materials and supplies specifically for you! We DO NOT OFFER REFUNDS of any kind for the workshops. However, we are always more than happy to issue you a Credit that may be applied to another upcoming workshop or as a store credit, as long as you contact us at least 48 HOURS prior to the workshop. We appreciate your cooperation and understanding. In the event of severe weather, there will be a listed ‘rain date’ should we need to postpone the workshop due to inclement weather. 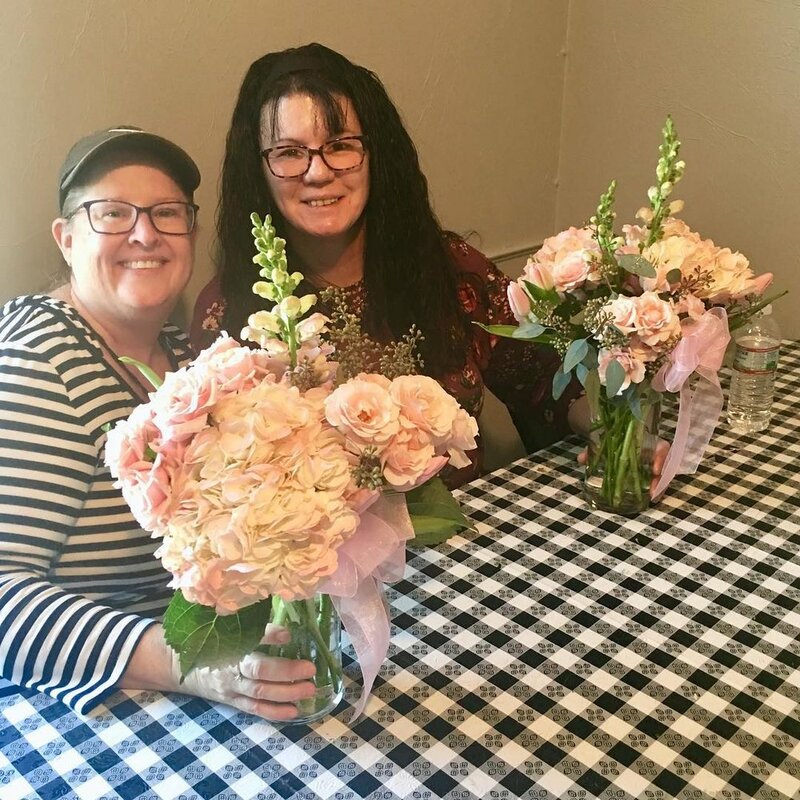 JOANNE FIORE is the owner of Atkinson Farmhouse, and has over 20 years of experience in floral design, garden design, event planning, baking and teaching a variety of workshops for adults and children. 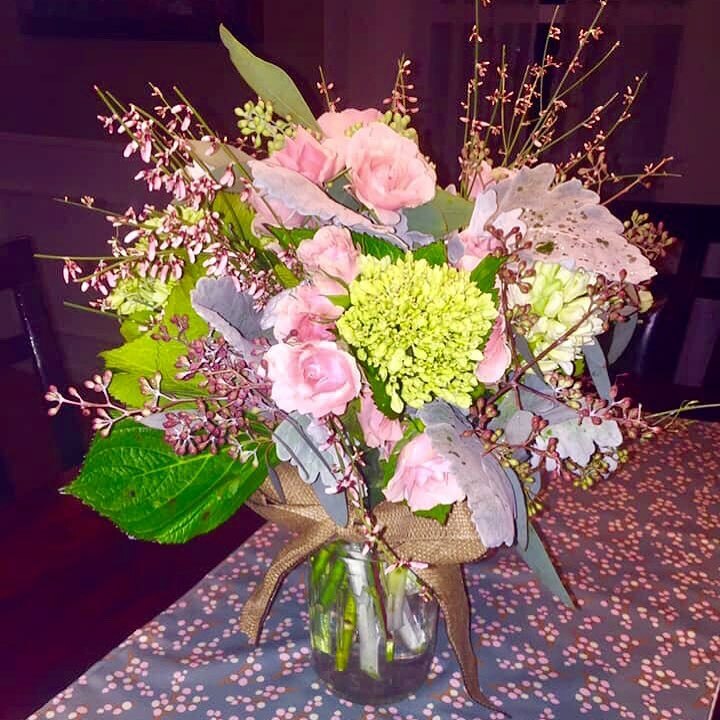 Ms. Fiore’s designs have been showcased at events at many top venues in Boston: Copley Square Hotel, Taj Boston, Seaport Hotel, Boston Harbor Hotel and the State Room. Her floral arrangements have been featured in several magazines and her Christmas bows have adorned the historic Massachusetts State House on Beacon Street. She has been a frequent guest on talk radio for her plant advice. 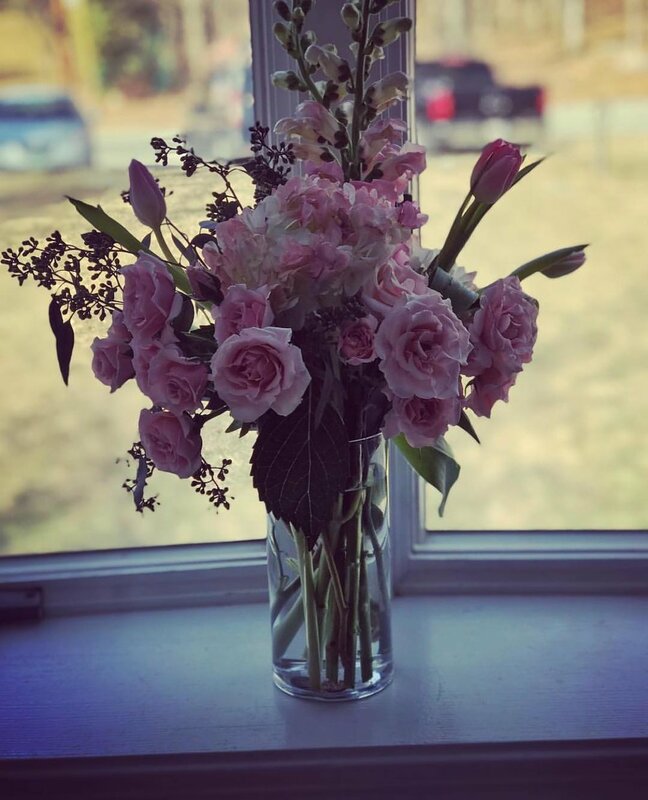 Prior to opening Atkinson Farmhouse in August 2018, Joanne owned Andover Flower Farm for 18 years and developed a loyal following for her custom wreaths, planters, container designs and floral arrangements. Ms. Fiore resides in Atkinson, NH with her husband Steve, two sons, dog and 2 cats.